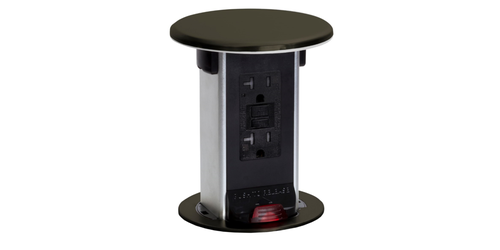 20A pop up power boxes with GFI protection for countertop use are ideal for kitchens, restaurants, airports, hotels, or anywhere you need power in wet or potentially wet locations. 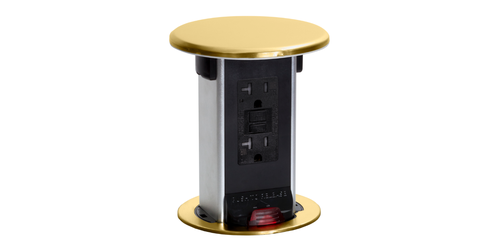 They have a look that will work with any décor, they come in attractive stainless steel, brass, black, or off white. 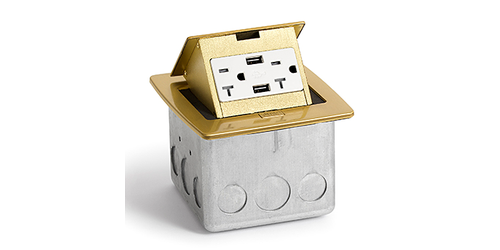 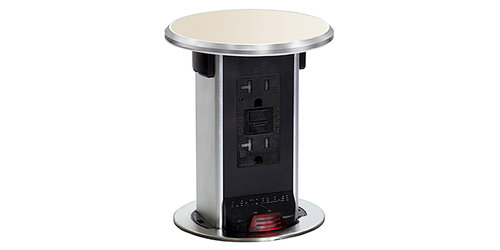 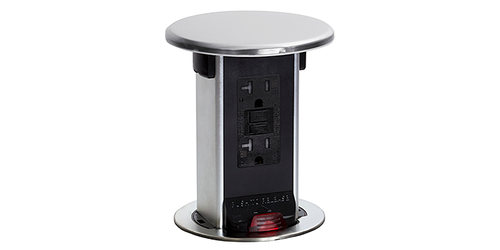 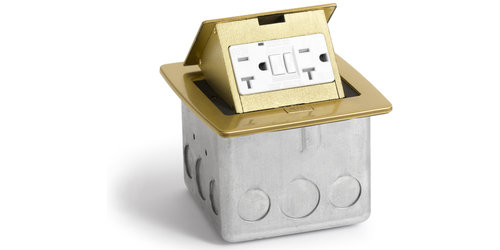 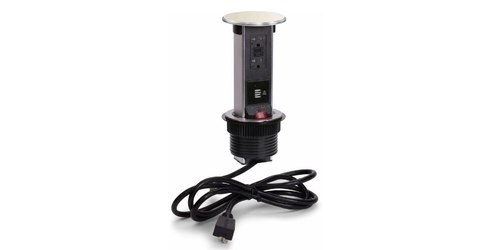 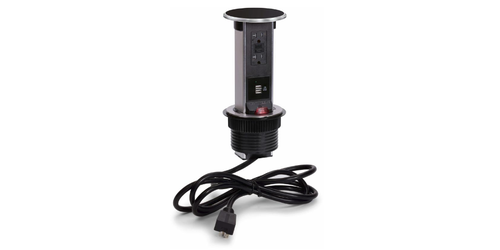 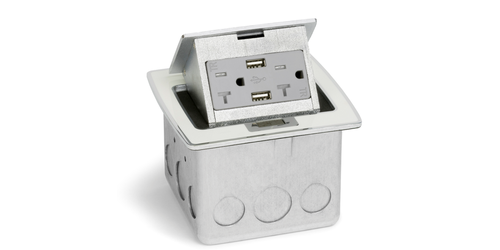 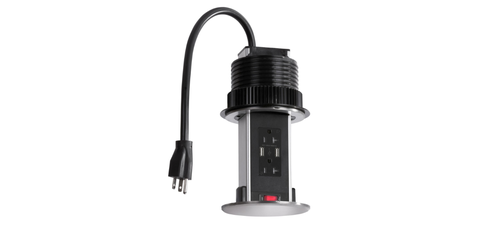 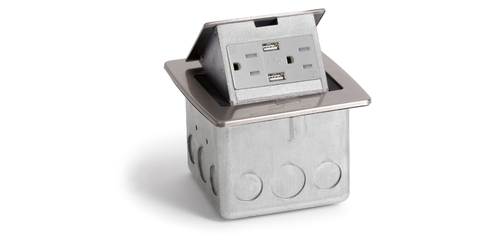 Pop up power outlets are a convenient way to hide power in any countertop surface including granite and quartz when not in use yet when needed pop up for quick access eliminating cords hanging from your countertop.